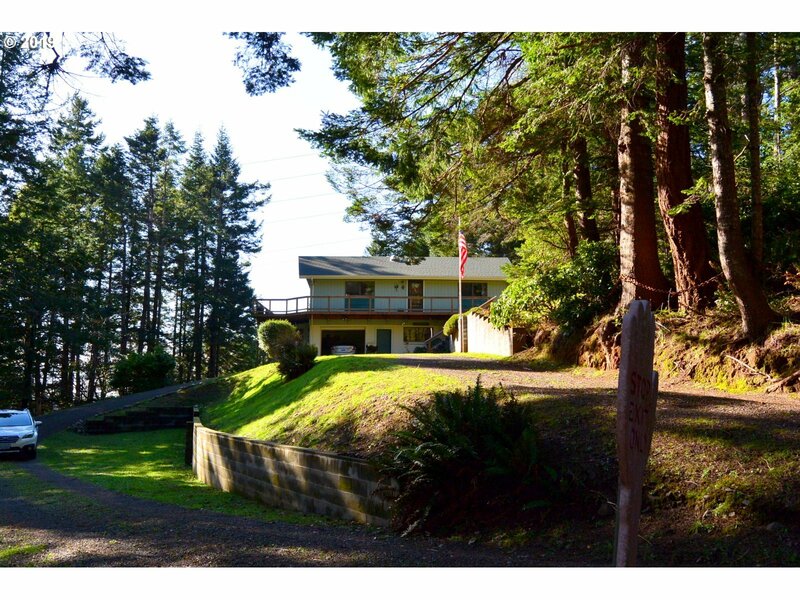 Right in town yet almost 1.5 acres of forested privacy! Ocean peeks with filtered sunsets.... Privacy, nature and convenience are all yours at an affordable price! The character of a great-room design with vaulted ceilings and a wall of windows bring the beautiful forested setting in. Recently rebuilt massive deck to view abundant wildlife. Original family are offering this first time to market property subject to completion of probate.